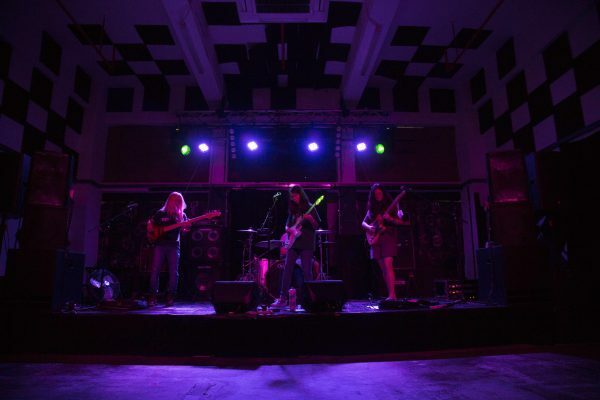 The very concept of seven bands in six hours is somewhat archaic in Singapore rock terms, hearkening back to the good old days at the Substation but it seemed right for these rock-challenged times. 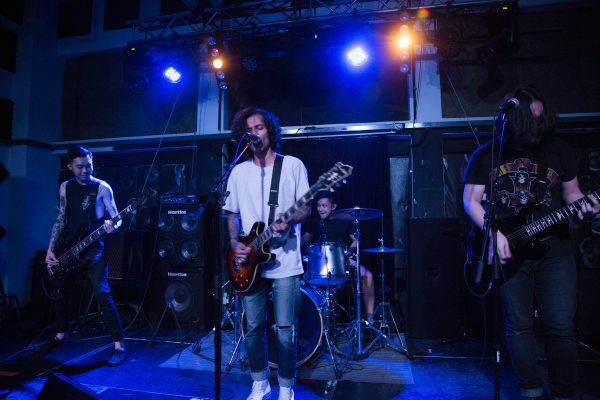 Decline is a cosy little box somewhere in a Geylang industrial building that seems like a physical manifestation of where the Singapore rock scene is, at the moment – the dirty outcast cousin to smooth electro-soul and slick indie pop. Not only that but the sound was a blistering assault on the senses, almost like a primal scream of angst and indignity clawing at the po-faced sensibility of the Instagram-obsessed glitterati of the Singapore music scene. Music-wise there was an eclectic mix of styles within the catholic range of guitar rock. Although, it does appear that for most of the time, 90s alt-rock was making some kind of tentative comeback into the Singapore rock desert landscape. 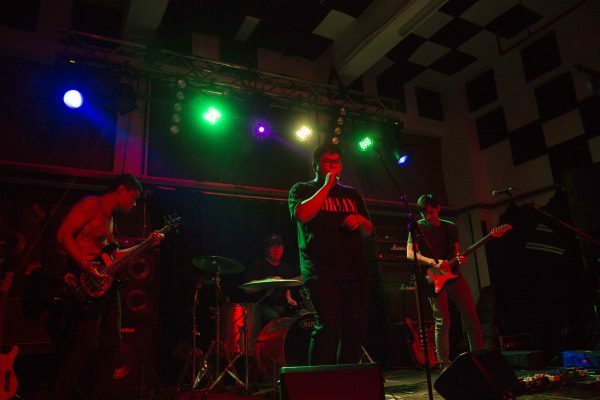 With Causeway Youth’s self-styled ‘mildrock’ and Bouncy Castles’ comedy punk, it was clear that these bands perceived themselves in their own way, without too much concerned about what was trending in social media. The Groove Gurus brought the funk, Knightingale the grunge and False Plaintiff got all emocore for us, and gave a decent account of themselves, even as the crowd size began to swell. 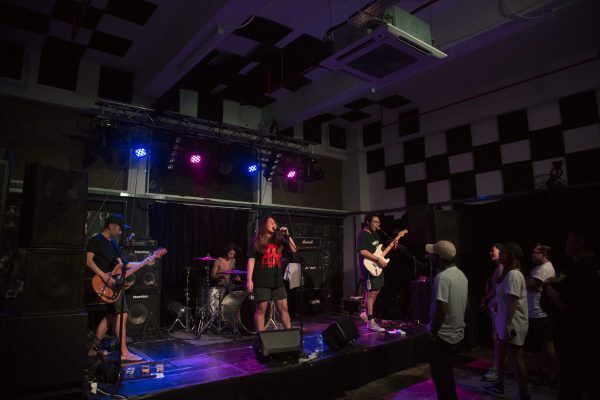 Suneater perhaps provided us with an intriguing glimpse of how the Singapore rock scene might progress by reaching back into the 90s and updating the hard rock inflections of Soundgraden and Screaming Trees. 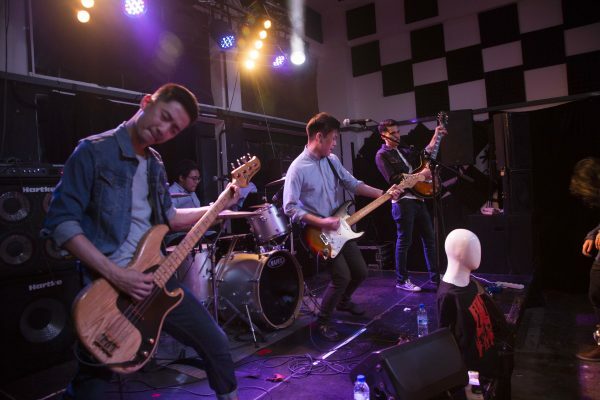 The main event – Mannequins – are perhaps so beautifully out of touch with everything else that is happening now that they might be the most unique Singapore band at the moment. Channeling the 90s Pop Underground with laser sharp clarity that blended melody and power chords so knowingly, the sincerity of their purpose shining through, despite the unrelenting sludge of the audio mix. In the grand scheme of things, this EP launch show may not amount to much when competing with mainstream conceits like a National Day song but it matters not. 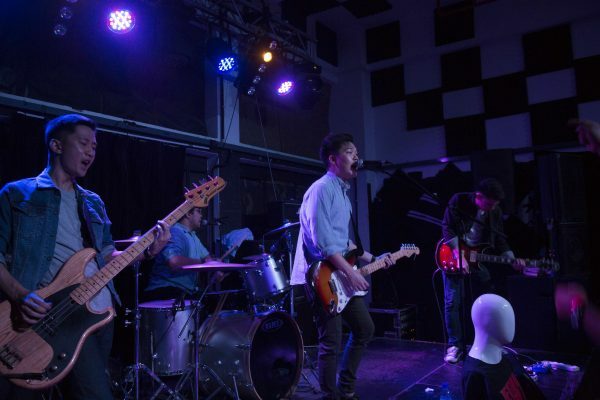 Singapore will continue to rock as long as young people believe in the spirit of rock ‘n’ roll for its own sake. Good enough. Photo credit : Mary-Ann Teo.